MAT Fotografia is a Photography and Video company focused on Wedding Photojournalism style, that is based in capturing stories during the wedding day, from little details until the gestures of happiness of the groom and the bride, family or even the guests, reflecting those moments is that makes every wedding unique and unforgettable. We also offer wedding cinematography, which narrates stories with a unique journalist style, where it merge feelings, people, moments and every detail of your wedding. Excellent photographers, it was so easy to work with them that it felt effortless, fun and stress free. We received over 2000 pictures, and they where amazing they captured everything we hoped and even moments we thought had not been captured. The video we received is absolutely breathtaking. MAT fotografia was absolutely amazing. This group of professional photographers took breathtaking pictures of us for 10hrs on our wedding day and we also had a pre-wedding photoshoot the day before along with our welcome cocktail which they also captured. MAT fotografia were very professional, their presence the day of our wedding was so seamless that it allowed us to live in the moment and not worry about countless hours posing for the standard "traditional" wedding pictures. Their style is called photo journalism where they capture candid moments in its most pristine form. We did take the traditional pictures with our main family members but we didn't want this to be the focus of our wedding; we wanted to dance, eat, drink, and be in love while MAT photographers snapped away. Check out their website and you'll see how creative this team is. Also we recently ordered our coffee table photobook and the rest of the unedited footage and we are beyond satisfied; our coffee table photobook looks so sleek and clean. Major Pro: you get the photos very quick. We were very happy with the photos from our engagement shoot (though we did have to take charge a bit to not end up with suuuuuper cheesy photos). The photos from our wedding were by a different photographer and they were good but not great. Overall recommended, with some caveats. We could not ask for better photographer! The quality of the pictures and video are amazing. They take you back to that day. The photographers did an amazing job. There were 3-4 of them and the photos were breath-taking. We got a short video, photo book with 100 photos, and 20 printed photos with our package. All look AMAZING. Our only wish was that we would have gotten a longer video because ours was only the length of a song (4-5 minutes). Where can we start about Miguel?!!! Amazing!!! Professional! Reliable! Creative! 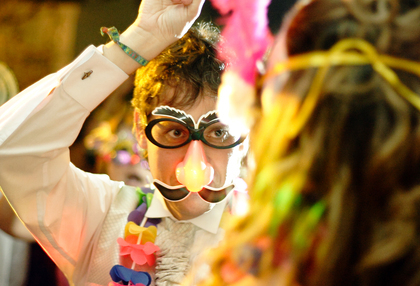 Etc… We have the most amazing wedding pictures ever! From the beginning we wanted to have the best photographer to capture the best moments of the wedding because in the end, that’s all you take with you. Miguel went above and beyond our expectations. We hire a second photographer on his team to get shots from different angles and it was well worth it. Our video came out great. I still can’t stop watching it!!!! We wanted to capture very natural moments. We didn’t want the pictures to have too much work done on them (as we have seen in other photographers) and he absolutely deliver. Miguel was great. He has his own unique style of photography. His pictures tell the story of the wedding from start to finish and whenever you look at them you fell like you are there again. He was also very efficient in terms of sending us the pictures he had taken whilst he also put the pictures up on his own blog which has been a good link to send to people that were unable to make the wedding etc. I can not express how happy I am with Miguel's work. I have photo frames all over the place because all his taken photos were breath taken. The pictures are amazing! Miguel made us feel at ease and very comfortable while he was taking the pictures. The end result was fantastic! He has also the best price for weddings in Cartagena. I recommend him 100%. Couldn't have asked for a better photographer!. 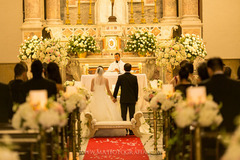 Miguel was able to capture the uniqueness of our wedding!. More than a photographer we found a friend!. Thanks Miguel and Alessandra for every little thing that you guys did!. check out his website, you will fall in love with his work just like I did!. Can't wait to see the video Migue!. I know it is going to be fantastic! The Videos are SPEECHLESS!!!! !, it made us cry every time we look at it.